MANILA, Philippines (The Adobo Chronicles, Manila Bureau) – You would hope that the extortion sheme ‘Laglag Bala’ at Manila’s Ninoy Aquino International Airport (NAIA) is a thing of the past. Unfortunately, more incidents where unsuspecting passengers are questioned and detained for discovery of live bullets in their luggage — “planted” by scheming airport personnel — have surfaced. In the interest of public service, The Adobo Chronicles is issuing these Ten Guidelines that local and international travelers passing through NAIA can consider in order to avoid being victimized by the extortion scheme. You’re welcome! 1. Make sure your check-in luggage is locked. If traveling to the U.S., choose a lock or luggage that is TSA-approved (which means the TSA can still open it for inspection using a master key). 2. If at all possible, don’t travel with a carry-on bag. 3. If you absolutely have to have a carry-on bag, choose one that does not have zippers and outside pockets. 4. If your carry-on bag is singled out for manual inspection, demand that YOU open the bag yourself. 5. If airport personnel insist that THEY open your bag, be ready to take a video of the proceedings with your smart phone. 7. Avoid using designer carry-on bags. They invite interest among inspectors. Instead, use a bayong or some other cheap bags, perhaps even a re-usable grocery bag from Safeway. 8. Place one of the following inside your carry-on bag: durian, bagoong, daing na bangus, or kimchee. Any of these items will surely repel the inspector with the foul smell, eventually choosing not to inspect your bag. 9. Place an activated mouse-trap inside your carry-on bag. That will give the scheming inspector a painful lesson. 10. If all else fails, just enjoy the experience. Be thankful for an extended stay in the Philippines, with free board and lodging — inside the prison cell. MANILA, Philippines (The Adobo Chronicles, Manila Bureau) – It’s been one mishap after another. The problems encountered by Manila’s Ninoy Aquino International Airport (NAIA) just won’t stop — collapsed ceiling, laglag bala, passenger suicides, airconditioning breakdowns, power outage, you name it. These mishaps have prompted Manila International Airport Authority (MIAA) General Manager Jose Angel Honrado to declare a state of “bad luck” for NAIA, especially Terminal 3. But relief will come soon to the thousands of airline passengers that go through the seemingly doomed airport every single day. With the approval of President NoyNoy Aquino and Transportation Secretary Joseph Emilio Abaya, Honrado said a very serious facelift will begin immediately at NAIA to dispel whatever evil that’s been looming over the airport. A Feng Shui expert has been hired and will begin work immediately. Is this the beginning of the end for NAIA’s reputation as one of the worst airports in the world? MANILA, Philippines (The Adobo Chronicles, Manila Bureau) – Move over, Six Flags and Great America. Here comes Manila’s open-door roller coaster train, the world’s first low-cost amusement mass commuter train. For thrill-seekers, riding the Light Railway Train (LRT) in Manila is an experience like no other. Imagine riding in a packed train car, running at full-speed above ground with its doors fully open! 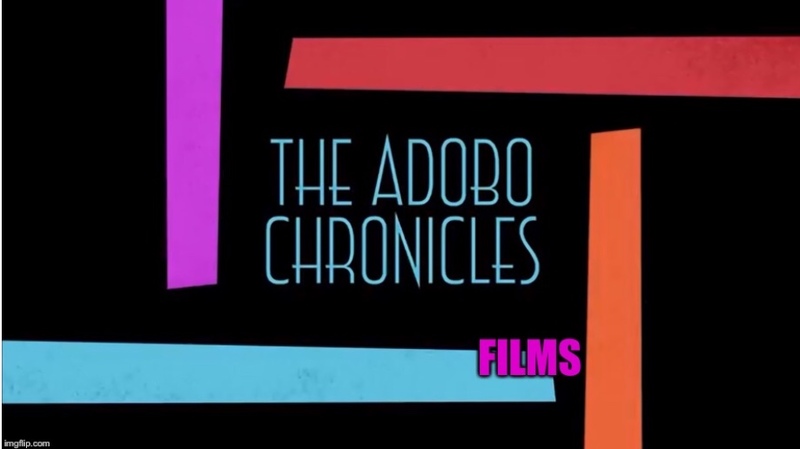 Well, we can’t describe the feeling, but student James Cubelo can, and shares his selfie video with readers and followers of The Adobo Chronicles. It’s more fun in the Philippines. We mean really, really more fun! This newest attraction is brought to you by the Aquino government.